The most complete event app in the industry! 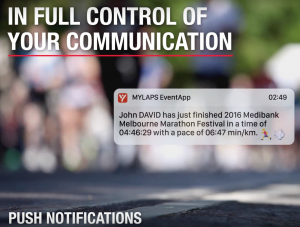 Your MYLAPS EventApp offers the best experience and is the most complete App in the industry. With your EventApp you have access to the following features. 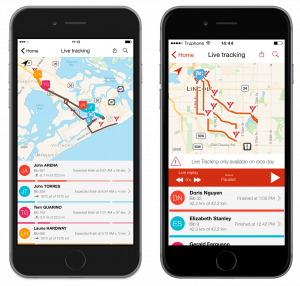 Allow friends and family to track real-time activities and progress of athletes during the race and increase the social reach of your event using the LiveTracking module. You can follow up to 25 people at the same time! 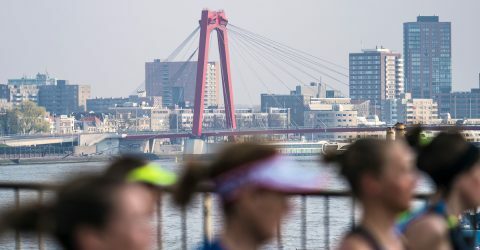 Follow all race leaders live via the EventApp Leaderboards. 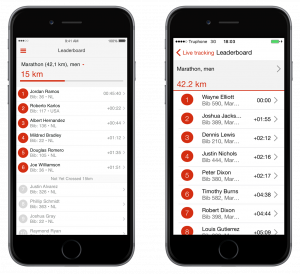 The Leaderboards are available per race and per category. New in the EventApp is LiveRanking. 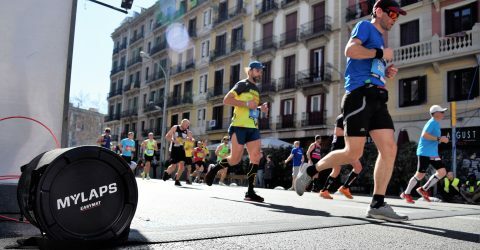 Next to the real-time insights on activities and progress of athletes during the race, you receive insights on their provisional race position. 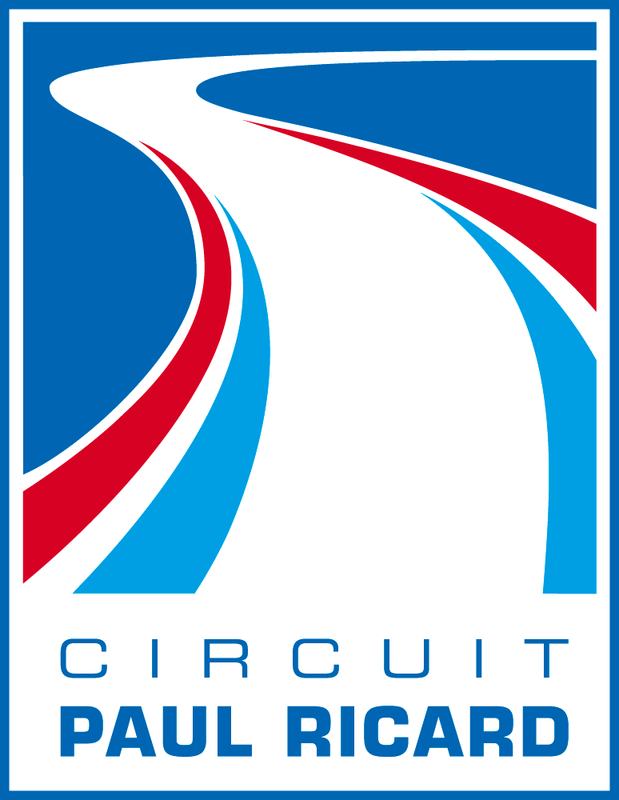 The ranking is based on the overall, gender and category classifications. Optionally one additional ranking can be created. This could, for example, be used for business team rankings. 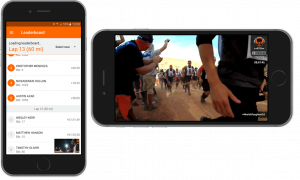 Does your event has a live video stream? Let your EventApp users enjoy the live broadcast and integrate it seamlessly in your white labeled EventApp. Watching the live video stream works like watching a movie on Youtube. 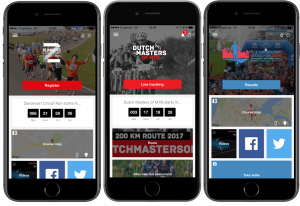 Watch full screen or minimize the live video stream in order to continue using the EventApp and watch the live stream at the same time. 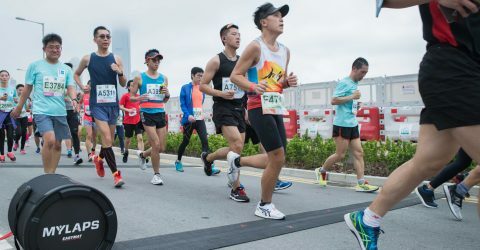 Help your participants train responsible to have them optimally prepared for your event and additionally engage with your athletes months prior to race day. Benefit of maximum exposure for your event and your sponsors. ‘Don’t train harder, train smarter. Get your fans and athletes more engaged and create a social buzz around your event with Selfies! 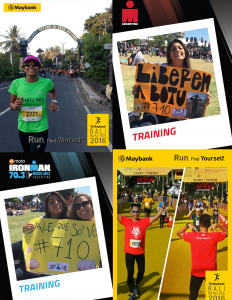 Brand you Selfies and help your sponsors activate their sponsorships in a digital way. 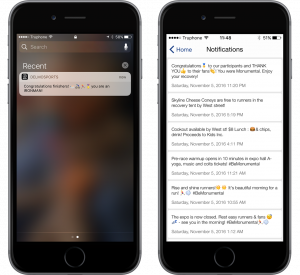 Take full control of your communication with push notifications. Inform users about all they need to know about the event. Use Emoji to broadcast your message in less characters and in a fun way! 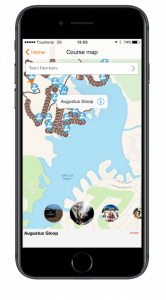 Add detailed event info and point of interests to your course map. Additionally, add images and text to your POI to get your users more engaged. 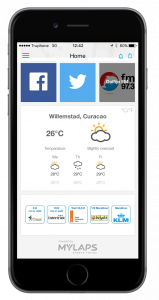 Add the weather forecast widget to your event app to inform your users on the weather forecast for your event. Next to the weather forecast widget, you can also add your event countdown clock. Showing you when your event in days, hours, minutes and seconds. Make your EventApp relevant 365 days of the year. 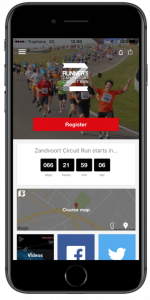 Let people register for your event via the App, promote live tracking on race day or show your event results. All accessible with one click via the call to action bar on your EventApp homepage. The call to action bar can link to any 3rd party website, service or page in the EventApp. 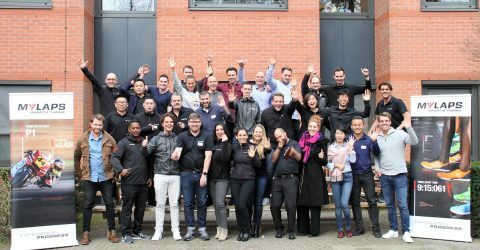 Looking for more detailed info?